If it seems like a one-sided match up, you’re absolutely right. Drag racing is the oldest contest of speed in the entire history of planet Earth. That’s right – before Formula One, or NASCAR, or bicycle races, horse racing, even the chariot contests in Rome, there was the simple pursuit of straight-line speed. Don’t believe us? Ask the caveman that couldn’t outrun a saber-toothed tiger. Except you can't, because he was eaten. Granted, automotive drag racing doesn’t have quite the same kill or be killed feeling to it (sometimes), but that doesn’t mean it’s not without drama. 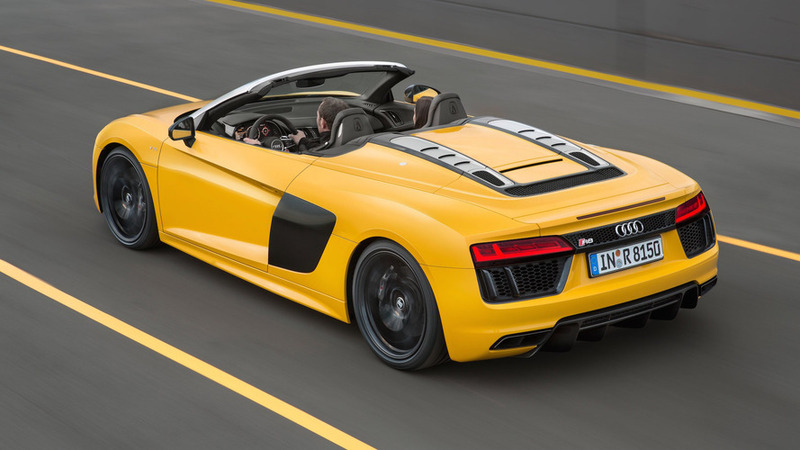 Even with something as lopsided as pitting an Abarth 595 Competizione with its 180 horsepower (134 kilowatts) against an Audi R8 V10 Spyder wielding 540 horsepower (402 kilowatts). Of course, the mighty Abarth weights considerably less than the all-wheel drive Audi, but yeah, it’s still not nearly enough for the 595 to stand even a remote chance at victory. So where’s the drama in this race? 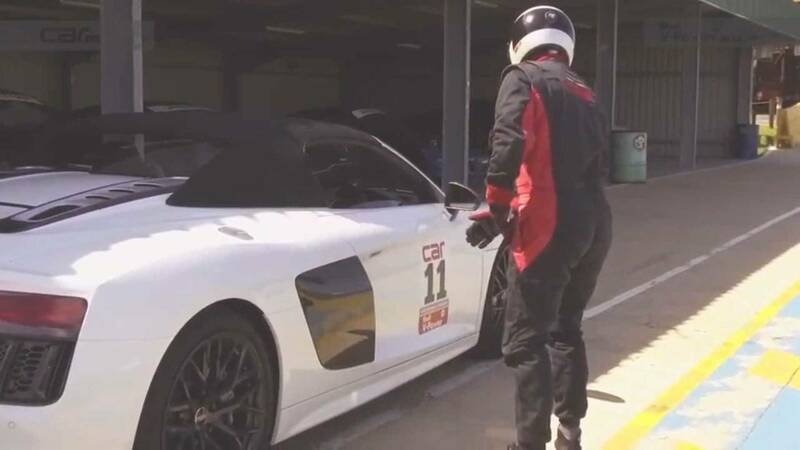 The folks at Car Magazine in South Africa set it up as a quarter-mile contest in which the Audi driver starts from outside the car. That gives the Abarth about a three-second head start down the tarmac before the R8 takes off, which also happens to be the approximate difference in published quarter-mile times for each car. So yeah, the end result is actually a pretty close race. Which car wins? 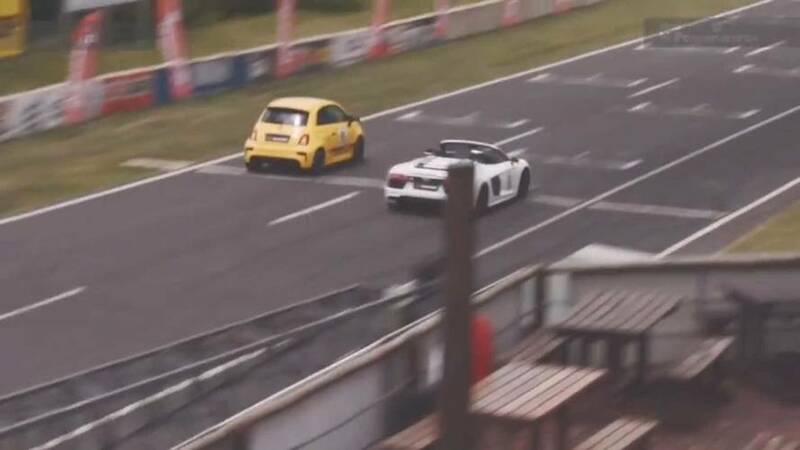 We won’t spoil the outcome for you, but we will say both the Abarth and the Audi sound positively glorious blasting down the track. Yes, that 595 doesn’t exactly tear up the pavement, but its roar would be enough to frighten away unsuspecting predators if this actually was a contest in the wild. Then again, the Audi has a pretty ferocious roar of its own. In other words, the real winner of this contest is us for getting an opportunity aurally appreciate the battle. As for who gets killed, we'll leave that to the video.